Wacky Packages, Part Deux: The Wackiness Continues! As prophesied, the madness continues! My Top Men Wacky Packages illustration last week was merely the tip of the iceberg… and you know what they say about icebergs? What you see on the surface barely covers it all, so lettuce continue with the second in my series of Topps Wacky Packages inspired parodies. 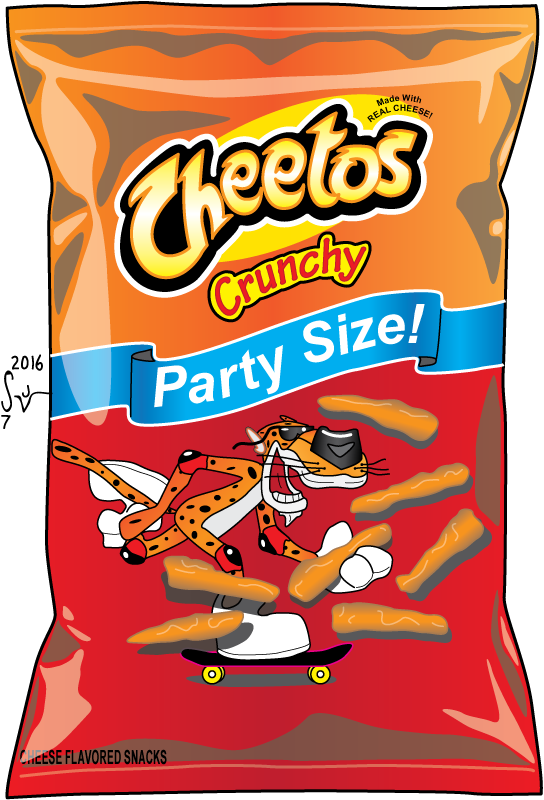 I haven’t eaten any Cheetos in a while, actually… not even off-brand ones… but I like them and love the visual of the packaging design. 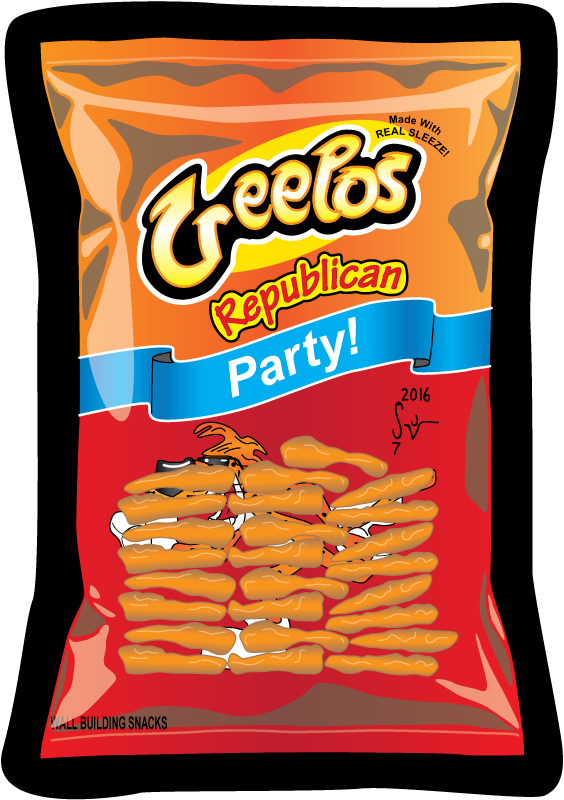 I also couldn’t resist the opportunity to make a little political jab with Creepos wall-building snacks (notice the hair on Chester Cheetah 🙂 ). Lest anyone think I’m just picking on the Republican Party, rest assured I have an idea for a Democratic Party parody as well but you’ll have to stay tuned for that! I don’t like to toot my own horn often, but I’m really pleased with how the shading work I did really gives the packaging a realistic crinkled look. Is it weird to be proud of drawing a bag of Cheetos? Please let me know what you think and continue to watch for more in this series coming soon! Also, if you’d like an original commission by me or would like to hire me as an Illustrator, please use the Contact page and let me know as much as you can about your request.